When I made idli sambhar a few days ago, Nami my daughter suggested that I should make a different chutney to the normal coconut coriander, mint one we make. I made the normal one with less chillis for the kids and a garlic coconut one with more chillis. I loved the chutney and realised that it can be used with anything. 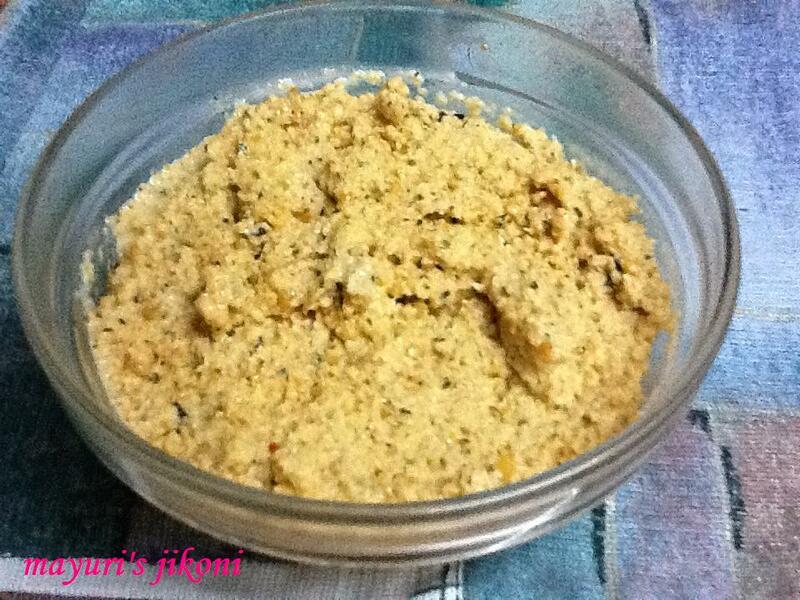 Have with a paratha or leftover roti, add it to left over rice, sprinkle it on a khakhra or use it to make a sandwich. The dry version will stay at least for a week in the fridge. Add all the ingredients except for salt and roast over low heat till you get the aroma of cooked garlic and the coconut becomes dry. Put the roasted ingredients in a food processor and mince it. Serve it dry or add about ½ cup of yogurt for a wet chutney. Add kashmiri chilli powder for a red colour chutney. Use it to smear over a dosa before serving. Keep the dry chutney till required. Add a bit of yogurt as required or can even add water. Make sure you roast the coconut well. Add peanuts instead of chana dal.